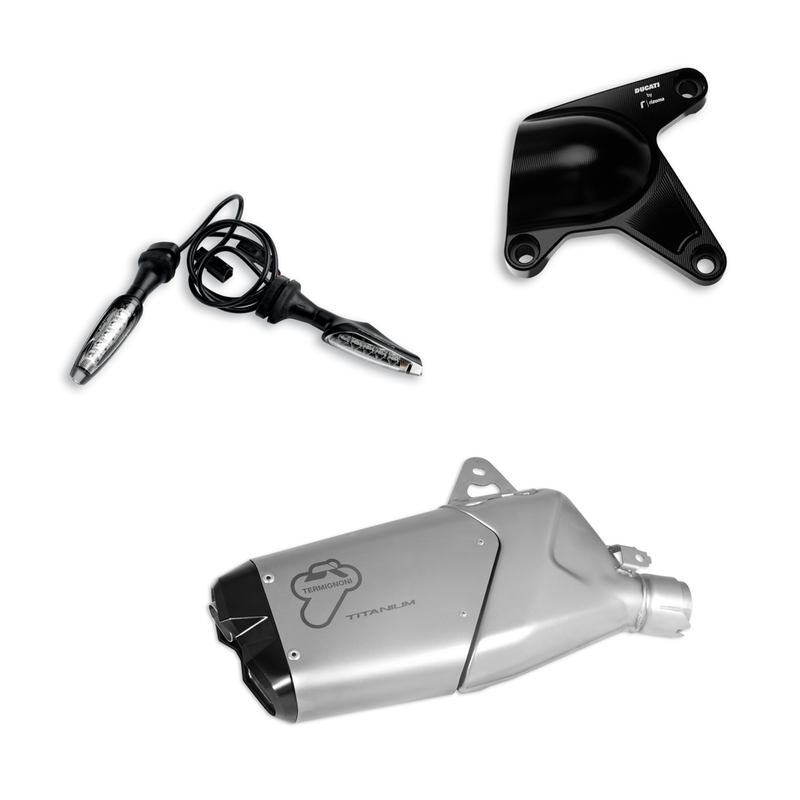 Sport Multistrada 950 accessory package. A pack that allows Multistrada to unveil its edgy side, with a configuration dedicated to enhancing both performance and design. From the Termignoni silencer with a titanium liner that allows you to savour the great sound of the twin cylinder to the precious billet aluminium details, the sportiness of this model makes itself seen and heard.